RaceRoom Racing Experience wurde aktualisiert und bekam in den letzten zwei Tagen sowohl ein umfangreiches Update als auch einen Hotfix. Gleichzeitig wurden neue Inhalte veröffentlicht, die für mehr Realismus und eine neue Saison der WTCC Fahrzeuge sorgen. Für die Rennsimulation RaceRoom Racing Experience wurden in den letzten zwei Tagen sowohl neue Inhalte veröffentlicht, als auch ein großes Update und dazu ein Hotfix, mit dem noch ein paar weitere Kleinigkeiten nachkorrigiert wurden. Zu den neuen Inhalten zählen in erster Linie das WTCC 2016 Fahrzeugpaket mit insgesamt fünf Autos und jeweils 3-5 Lackierungen sowie die erste Iteration des neuen Flaggensystems. 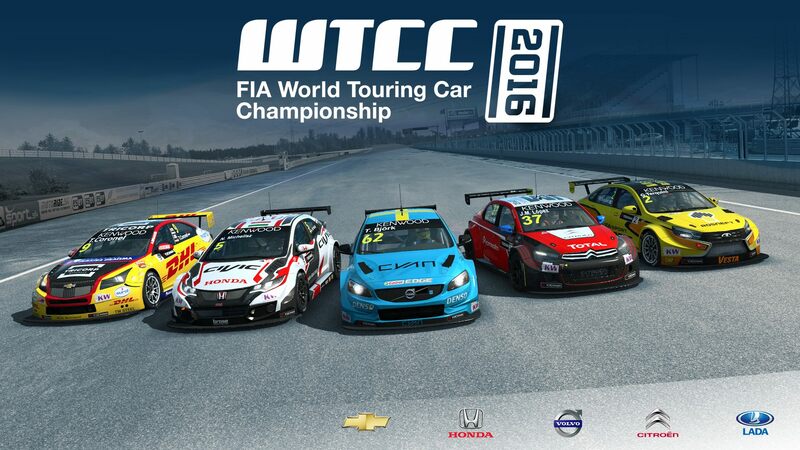 Das WTCC Fahrzeugpaket gibt es zum Preis von 7,97 Euro im RaceRoom Store, die Updates wie üblich kostenlos. Das große Update für R3E beinhaltet eine ganze Reihe Fehlerbehebungen sowie das oben bereits angesprochene neue Flaggensystem in seiner ersten Version. Welche Verbesserungen im Detail enthalten sind zeigt die Auflistung weiter unten. Changed so upon finishing a race with a slowdown penalty still active, the player will receive a penalty of 30 seconds added to his final result. Fixed issue with video options breaking when switching monitors with same resolution but different refresh rates. Changed so the slowdown time penalty you receive now factors in the actual track distance you have skipped to fix issue with finishing without receiving a penalty for cutting. Changed so if the accumulated slowdown time penalty exceeds the set post-race time penalty for finishing a race with a slow down on your head, you are now disqualified from the race. Current limit is set to 30 seconds. Fixed refueling sound continuing when refueling and returning back to garage in practice. Fixed issue where "Pit timer" from previous event was showing when player was in a new session after completing an event with mandatory pitstop with a minimum pitstop duration. Fixed an issue where player was sometimes able to change fuel when fuel usage was off. Player car will now always use default fuel amount if fuel usage is off. Fixed issue with time of day setting not applying for race 2 and 3. Fixed so slowdown cannot reach more seconds than post race penaltytime. Xbox One controller profile: Swapped shift down and drs buttons so they match the 360 controller button layout. Fixed Xbox One controller vibration issue. Changed automatic DNF logic to allow players to stand still with their engine off if they're close to their pit box. So players can take breaks during long races without getting retired. Changed so replay is no longer saved when crossing the finish line but only paused. It is now saved and closed when player finishes the race. Fixed so headlights now strobe for 2 sec when button is clicked, or continuously if held. Shadow splits are now always enabled. Tweaked rumble pad/xinput ffb by disabling high speed constant rumble (steer force), rumble on grass and gravel (covered by slip effects) and engine vibrations. Added missing return so now players get returned to menu if the pit window range is invalid for single race or championships. Added session length format to shared memory. (if the session is time based, lap based or time+lap based). Increased shared memory minor version to 5. Note: What's displayed on the monitor is a cropped copy of the left eye render for the VR headset. The crop avoids including the eye's hidden area mask and maintains the monitor window's aspect ratio. The overlays (menus, etc.) are rendered flatly on top of the cropped VR eye render. The mouse cursor is no longer shown on the monitor window unless the game is set to show the VR session on the monitor. Switched Macau light setting to same as Paul Ricard. Changed Leaderboard divisions to work on a percentage based system. Division 1 0.00% 2.00% of best laptime. Fixed so when a content is set to be free e.g. for a weekend it is not excluded from packs (essential and class packs) and still gets added as owned upon purchase. Zu guter Letzt gibt es noch eine kleine Übersicht zum gestern veröffentlichten Hotfix. Fixed issue where the 2 new released BMW M6 liveries (#19 and #20) were not visible in the menus. Fixed issue where the game client was sending empty password to server regardless of what the player entered when joining a Multiplayer session on a password protected server. Fixed an issue where game was pausing for some players by removing the automatic pause that gets triggered when game loses focus. Fixed issue where spectator clients were not able to join multiplayer servers. Fixed a flag issue where a car that caused the yellow could not be safely overtaken. Disabled blue flag penalties for the moment as certain players were maliciously using it to destroy other players’ races. It will still show blue flag warning but no penalty will be handed.